Amazon is offering Up to 60% Off Zhou Nutrition Supplements as the Gold Box Deal of the Day! This offer is valid today only or while supplies last. 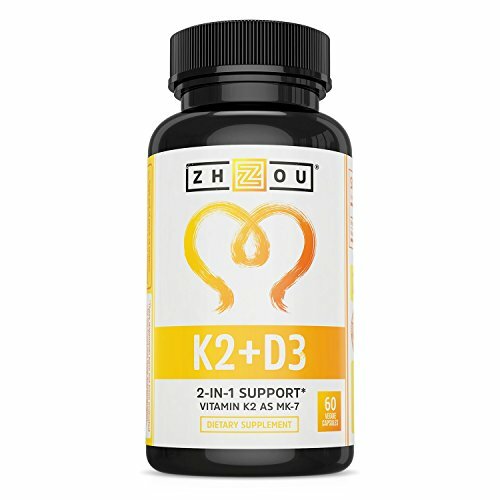 Just one great deal included is the Vitamin K2 (MK7) with D3 Supplement – Vitamin D & K Complex – Bone and Heart Health Formula – 5000 IU Vitamin D3 & 90 mcg Vitamin K2 MK-7-60 Small & Easy to Swallow Vegetable Capsules is marked down from $24.99 to only $9.93!